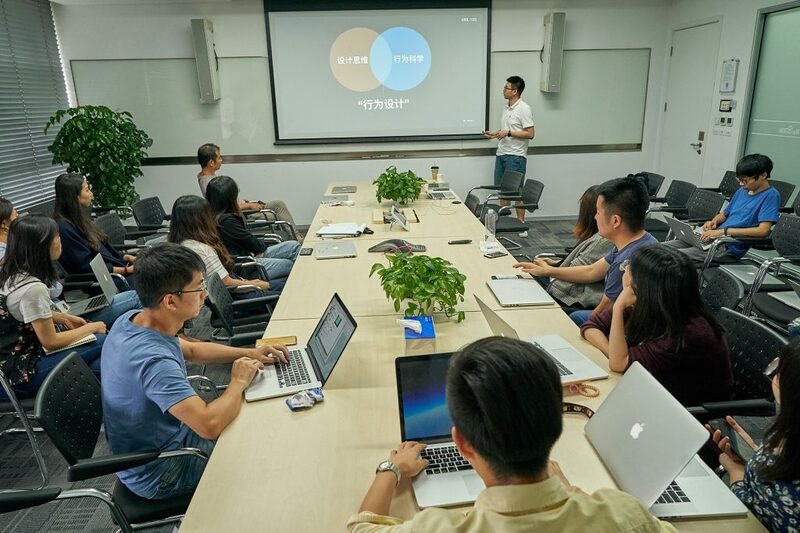 IPRO Instructor Dan Chichester and Teaching Assistant Renjie Li spoke about design issues to over 40 interactive and visual designers at Baidu this afternoon. 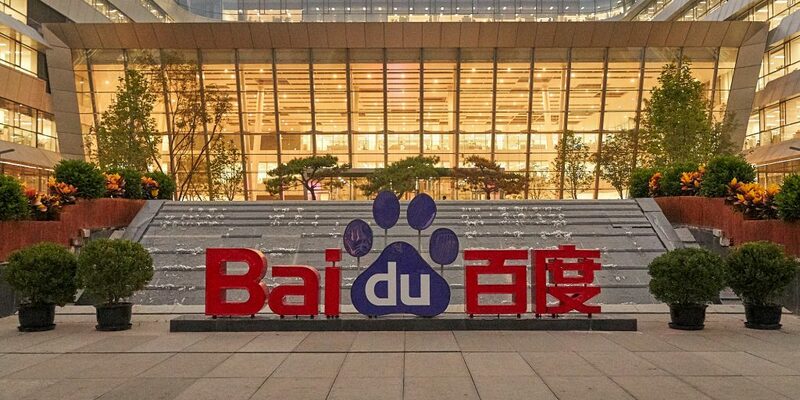 (Baidu is sometimes called China’s Google.) Dan lead a conversation about Design Research effectiveness. The designers were particularly interested in ways to keep their design practice relevant to business concerns. 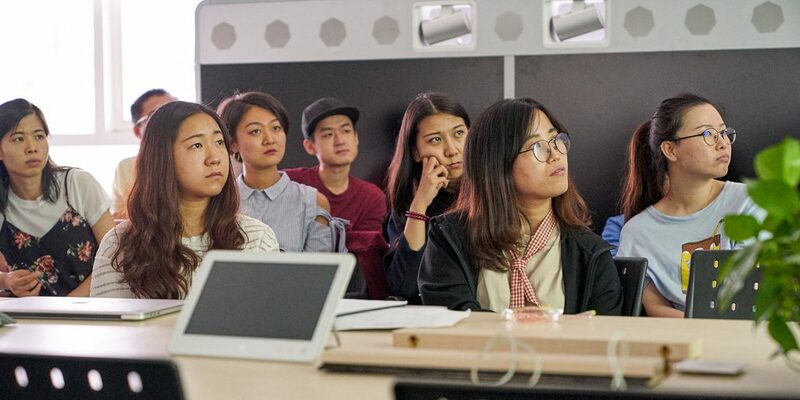 Renjie captivated the design audience with a stimulating lecture on Behavioral Design. 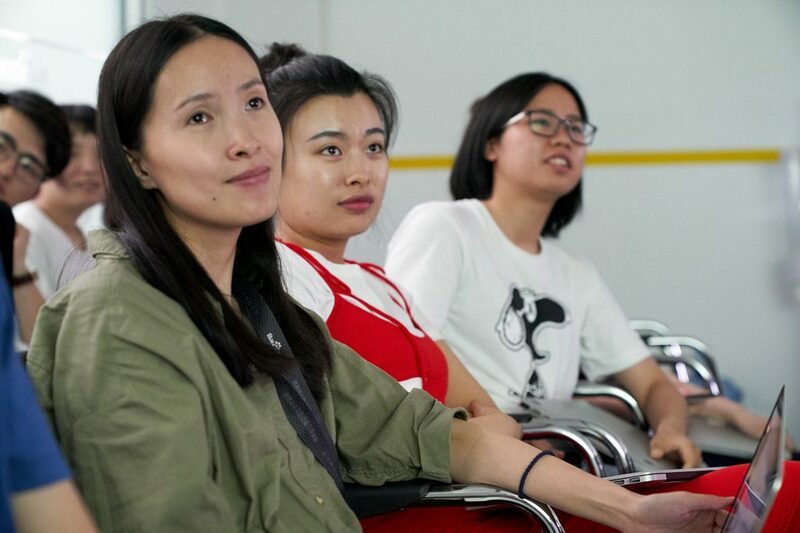 Later the design education pair toured the main Baidu campus and learned that Baidu has significant efforts in AI technology, including driverless cars, robotics and facial recognition that allows employees to pay for things. The Baidu campuses have a very modern architectural style and significant floor space. There are many different types of services on these campuses including restaurants, coffee shops, laundry services, fitness centers, climbing walls, barber shops and gift shops. That evening we ate dinner with the hosts of the event and discussed design education and exhibition design at he National Museum of China. The architecture at Baidu seems bold, playful and innovative. 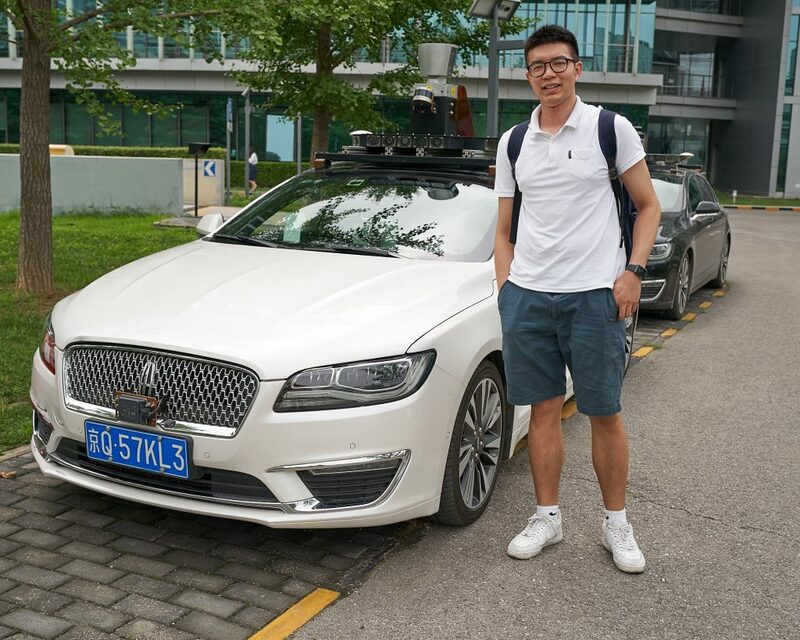 Baidu has significant investment in developing driverless cars. 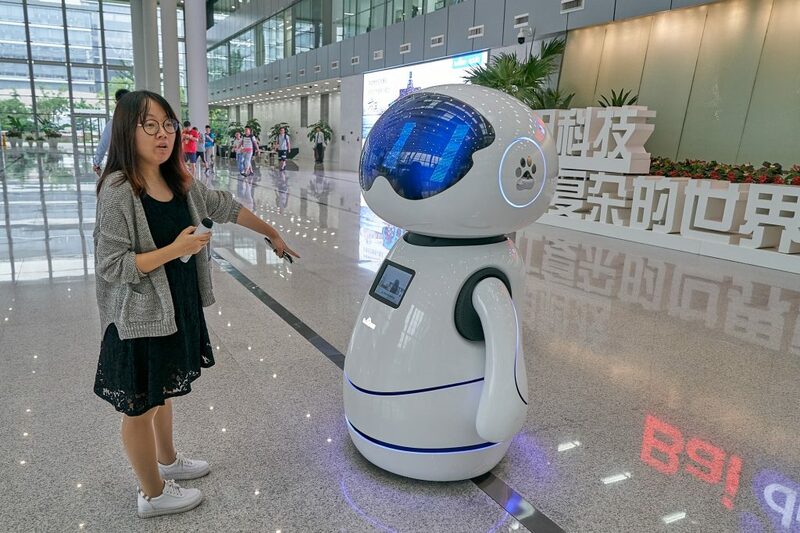 This friendly robot can interact with visitors and welcomes them to Baidu. Advanced technology is all around the campus. 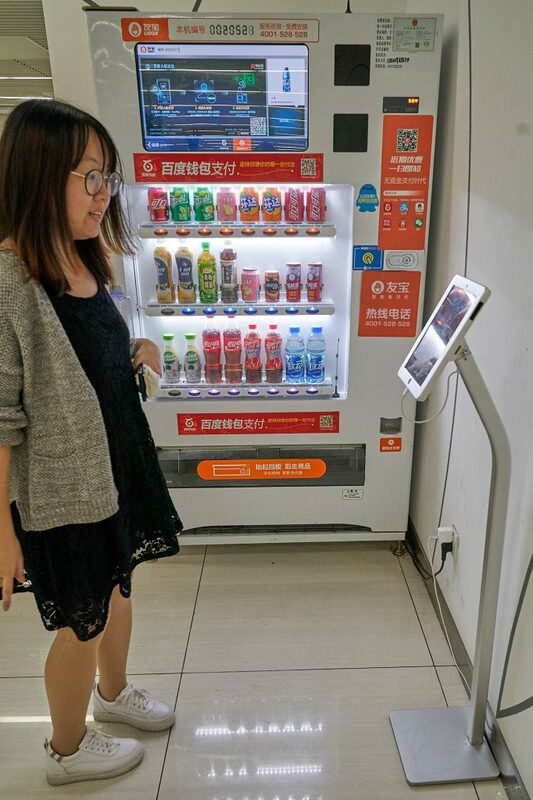 This facial recognition panel allows employees to make purchases. 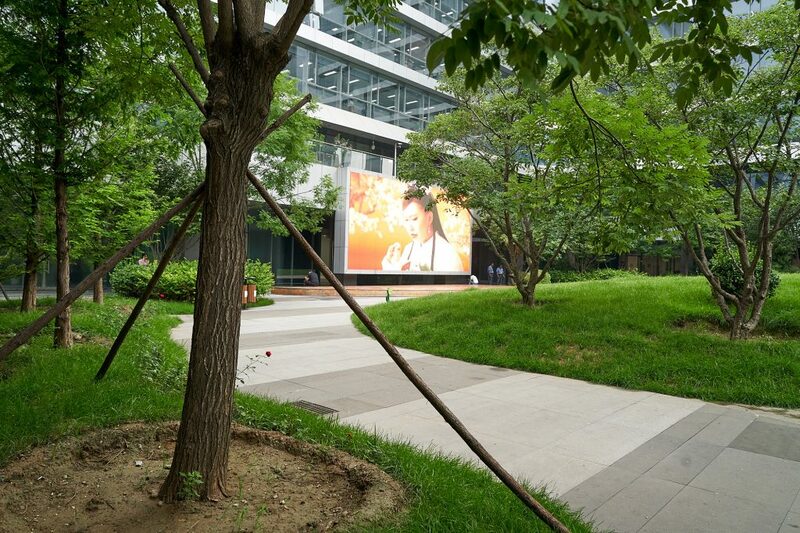 On the main Baidu campus, this pathway is well landscaped and features a very large, outdoor monitor. IPRO instructor Dan Chichester delivers a talk on Research Design effectiveness. 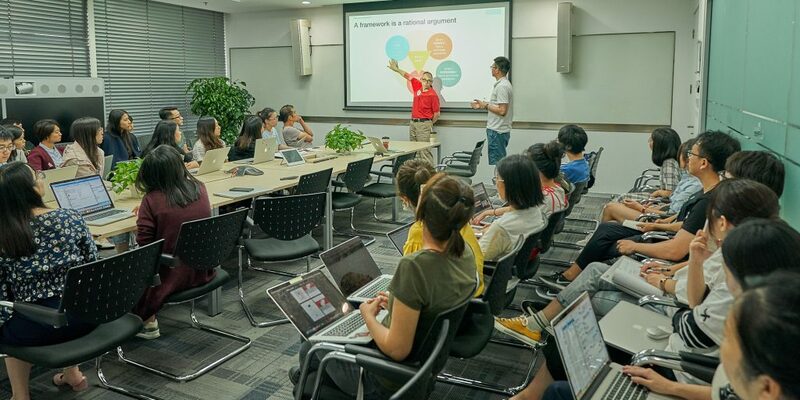 IPRO TA Renjie Li engages Baidu designers in a lively and engaging talk about Behavioral Design. 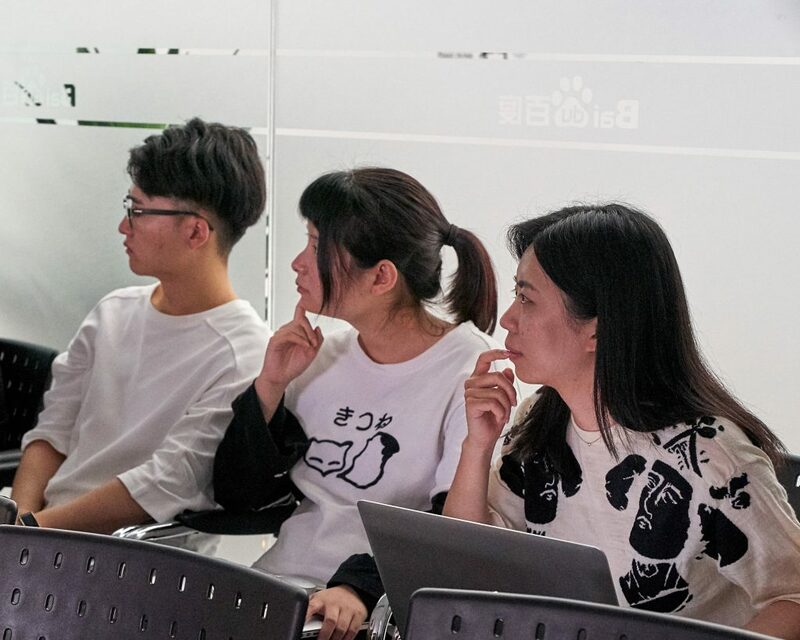 The Baidu designers listen carefully to Renjie’s design talk. There was no lack of concentration from the designers that composed the audience. The design team leader was fully engages and enjoyed Renjie’s witty remarks about Behavioral Design. 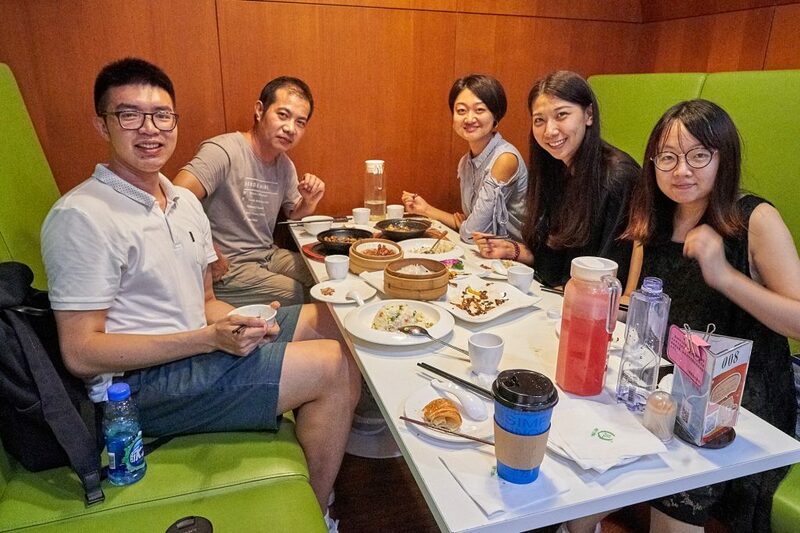 That evening, Dan and Renjie ate dinner with members of Baidu’s extensive design team. 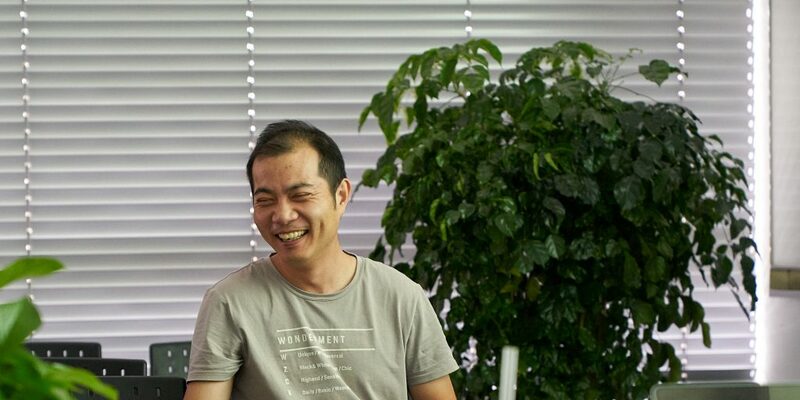 Baidu employs over 100 interactive and visual designers. When the sun set, Dan and Renjie knew it was time to go home. 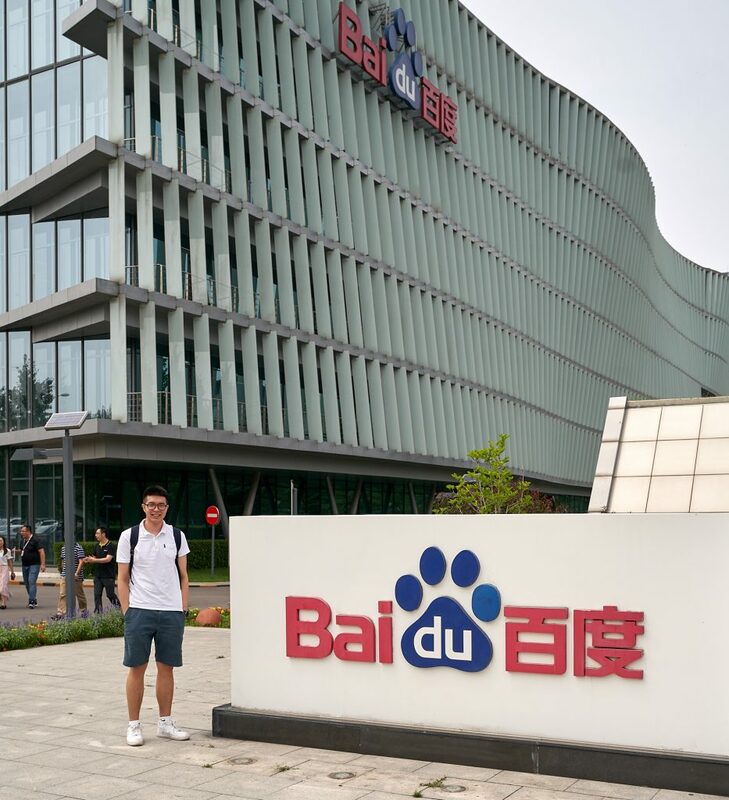 It was such a great experience to be welcomed to the Baidu design community.